Despite some well-intentioned giggles among his classmates, that moment was a wake-up call for my 17-year-old procrastinator. “Mom, I don’t want to be one of the people with no idea what they’re doing when they ask me to stand up like that next year,” she admitted over dinner. My heart went out to her as she twirled her spaghetti. Here was my middle daughter — this woman-child — with one foot on the shore of home and the other reaching out for something she has yet to clarify for herself. Perhaps some of you can relate. As parents, we all have a responsibility to help our children launch. It’s nice to know we can all clearly delineate for our teens the main options for how to sail into an independent life following high school graduation by following some professional advice, so that’s why I’ve created this article. Your son or daughter does not have to be the child of a professional college admissions counselor to know what’s what. My recommendation is that long before spring of senior year the ping pong balls of what to do get volleyed back and forth between students and their parents. As I joke in my book 4 Keys to College Admissions Success, it’s our own fault if they end up eating Cheetos and playing Xbox in our basements for the next five years! 1. Do not have mom, dad or a counselor communicate with the school on your behalf once you’ve been admitted unless there is a compelling reason you cannot handle it yourself. Admissions offices often see this as a red flag of dependency just at a time they hope the young adult they’ve accepted is ready for autonomy. 4. If you are taking out a student loan, log into your FAFSA account. While you will have to accept any loans granted through your college’s website, you must go through mandatory loan counseling and sign a master promissory note or your funds will not be released. Failure to do both mandatory FAFSA requirements can delay your loan release, which can make enrollment problematic and very stressful. Two-year colleges are often the unsung heroes of academia. Many of them have outstanding professors and top-notch resources. This is a great option for students who are unsure about their specific academic interests or those who want to get their grades up and transfer into a school with standards for entering freshman that are rigorous beyond their current levels. It’s also a viable option for students whose families face financial challenges since per credit, the courses are so much less expensive. Why not save money and avoid accruing a hefty student loan debt? 1. Submit your school application on their website and complete the online orientation. The earlier you do this, the more likely it will be that you can set up an appointment with a counselor. Counselors are particularly important at two-year colleges because they help you to map out a curriculum that will maximize your chances of a successful transfer into the university you want to attend. All four-year transfer requirements are different, and these counselors can help you navigate your path and get into all of the classes you need. 2. Don’t assume you can easily get into all classes. With the economic instabilities of the past several years, many community colleges have seen an increase in applicants that have left classes bursting at the seams. Avoid having to stand in line to enter a (literal) raffle for a popular, mandatory freshman math or English class by planning and applying early. 3. 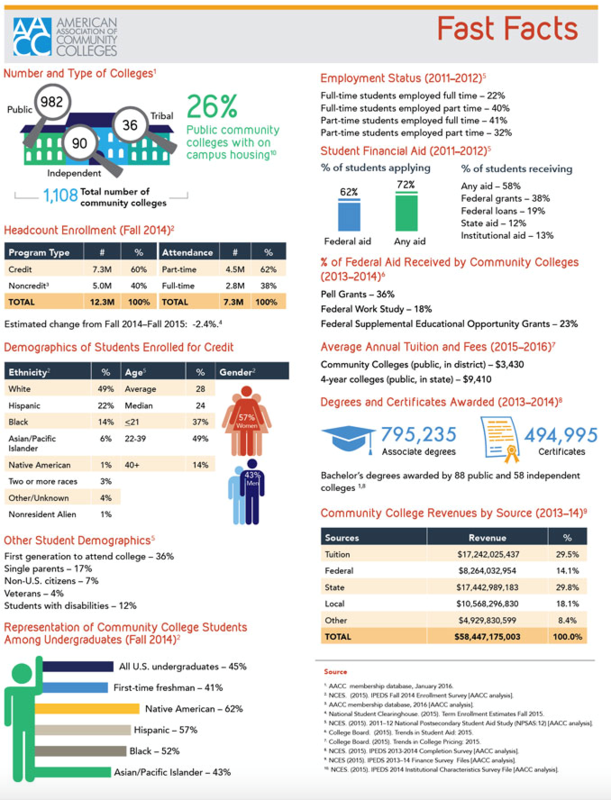 Here are some handy statistics to guide you, courtesy of the American Association of Community Colleges. Talk your plans through with a parent, guardian, or trusted adult. A gap year can be a very meaningful and valuable life experience if you have a plan for what you hope to achieve and how those achievements will help you to your long-term goals. Certain paths are not right for all people, but having the right information can inoculate a student against the most common mistakes cited here related to post-graduation options. Good luck, and remember to opt in to receive lots of free trainings and up to date college admissions information to support your teen at www.pameladonnelly.com!